I love hosting overnight guests in our home, but it also makes me a little nervous, because above all, I want them to feel comfortable. I worry that our guests won’t feel at home, or won’t want to ask us where things are, etc. 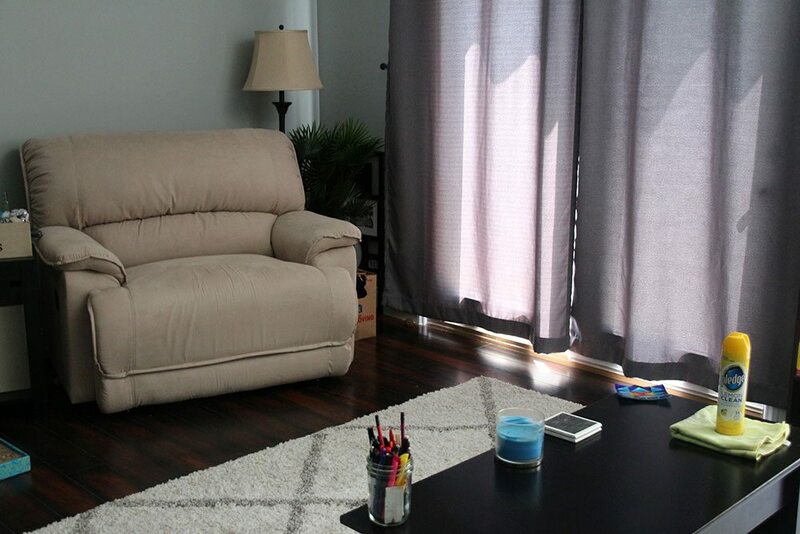 When we have people staying with us, I don’t want them to feel like guests, so I’ve come up with a few (super easy) things to do before we have company. There’s just something about baked goods that automatically make a house feel more homey. If you like baking, take the time to make something from scratch. 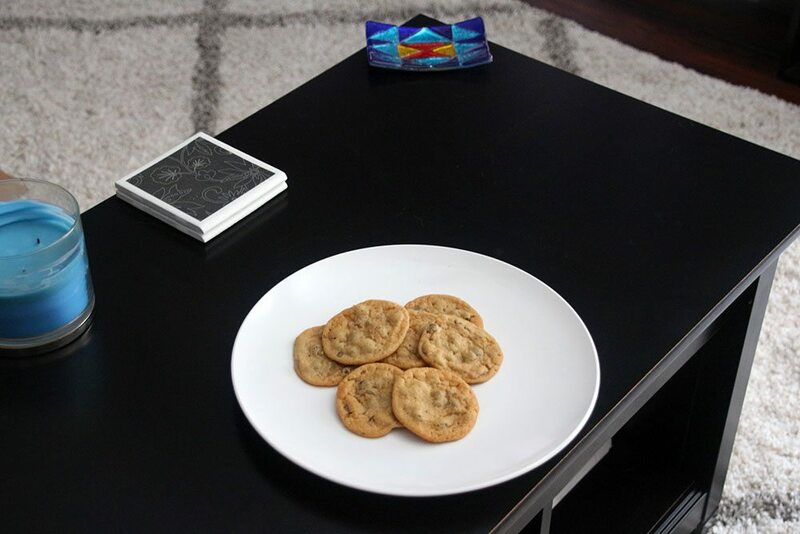 Fresh chocolate chip cookies or brownies are sure to make your guests feel at home. 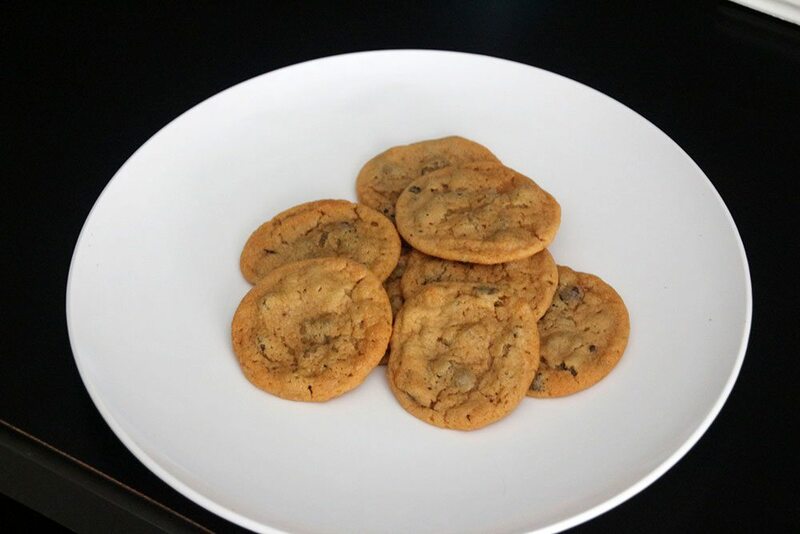 If baking is not really your thing, grab some pre-made cookie dough or a box mix of brownies, and make those. Even a small gesture of putting something pre-made in the oven will go a long way to making your guests feel comfortable. I think a handwritten note goes a long way. 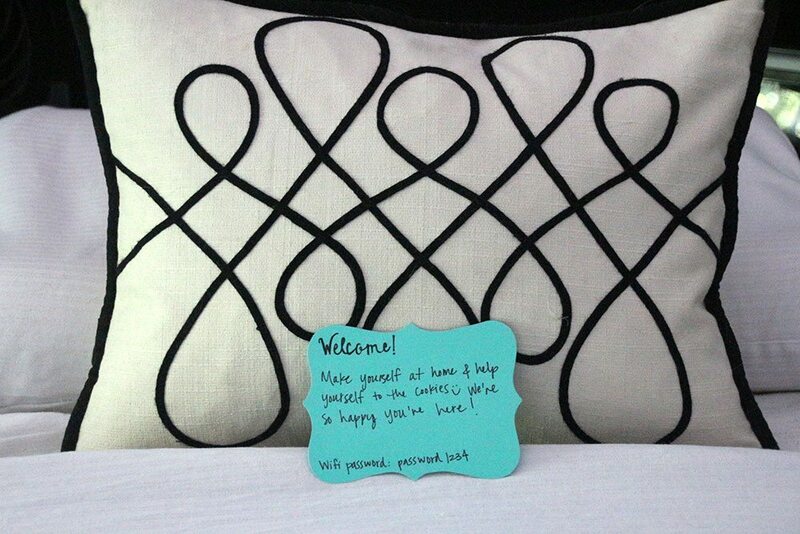 When you show your guests where they will be staying, it’s nice to have a short little note laying on the pillow letting them know how excited you are to have them, and reminding them to make themselves at home. Oh, and one of the most important things you can have in the note is your wifi password. Nothing is worse than trying to get online when you’re a guest in someone’s home, and the host has already gone to bed! It’s no surprise that a clean home feels more welcoming. One of my favorite ways to keep our home looking and smelling fresh is wiping our furniture down with Pledge Lemon Clean. Pledge contains no harsh chemical smells that need to be neutralized or masked. The classic lemon fragrance simply creates a delightful scent experience while you clean. 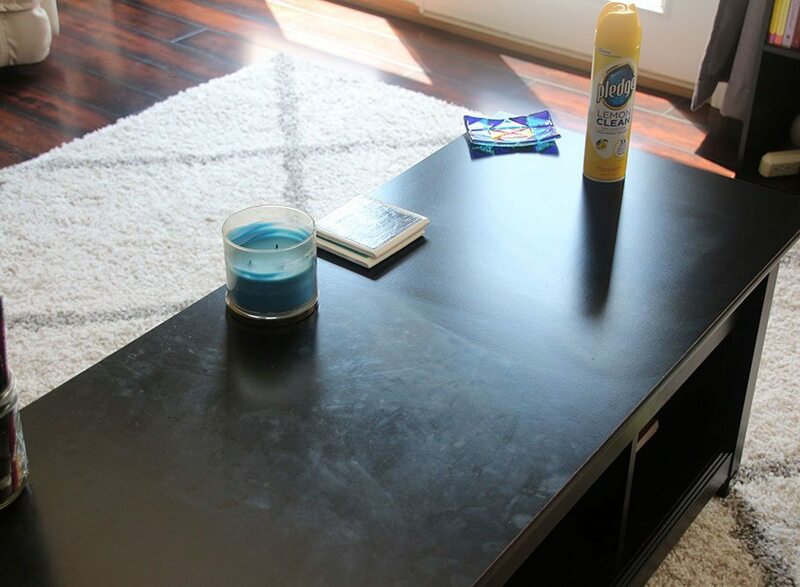 We have a lot of laminate furniture, especially in our living room, and Pledge Lemon Clean does a great job of eliminating fingerprints and dust. I’m almost embarrassed to show you a before and after picture of our coffee table, but it does show how well Pledge gets the job done. 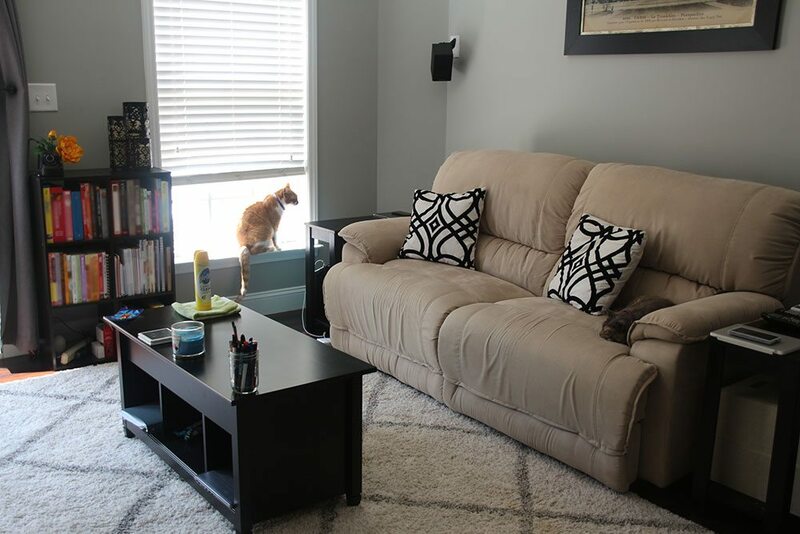 Since moving back into our house after the flood, we have a lot of new furniture, and I want to keep it looking new for as long as possible. One thing that I love about Pledge Lemon Clean is that it’s pH- balanced. This means its worry-free formula cleans without clouding up or stripping away the finish. Using Pledge in our home is an easy and quick way to keep our house looking great and welcoming to any guests. 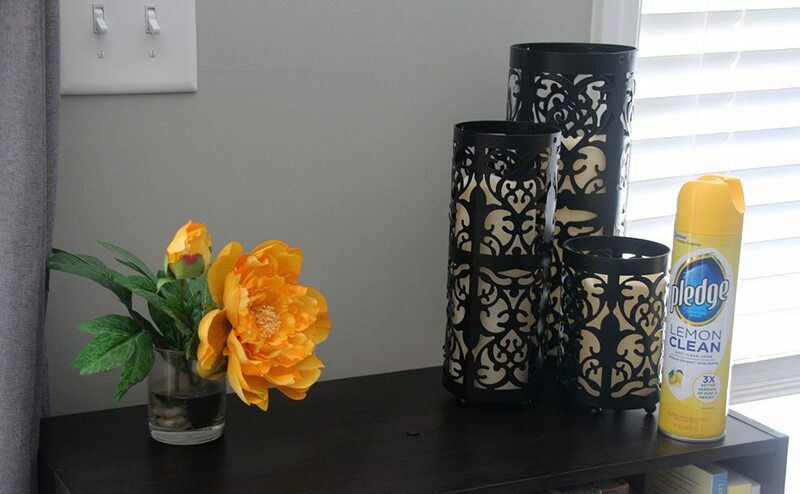 What are some ways you make guests feel comfortable in your home? Baking something just makes anywhere feel more like home! Totally agree! Baked goods are always a great idea!